It's strange that after years of collecting, I largely ignore my digital music library. When I'm not listening to something on vinyl, I almost exclusively listen to music through the various streaming services available like Spotfiy, Rdio and the "new" Myspace. In part, it's because I no longer have my large-hard-drive iPod, and can't fit much onto my tiny iPhone. But it's also because it can be easier to just type in an album on a streaming service than it is to sort through a collection. I am concerned about the ability of musicians to make a living nowadays, but do really like the convenience of this Internet-based music era. Slash your enemies to the beat, earn points, build up combos, and unleash the fury in this fun mobile/portable game. 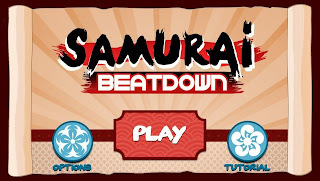 Samurai Beatdown features catchy music and simple but fun gameplay, and is one of the best games currently available on the Playstation Mobile platform. Pizza Saves the World's Foundations of Western Philosophy 101: Is Breakfast Fun? I recently saw a television ad for a breakfast cereal which described itself as, "...a fun part of your complete breakfast!" Which got me thinking: Is breakfast actually fun?